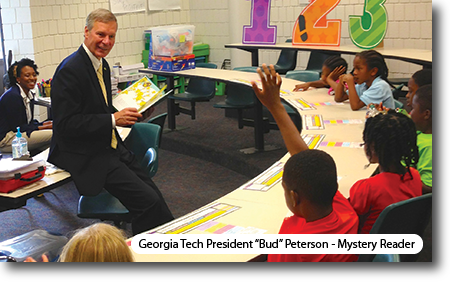 The mission of Horizons at Georgia Tech is to provide an academic, cultural, and recreational program designed to encourage a diverse group of students from under-served communities to realize their full potential. The Horizons at Georgia Tech Program partners with three local schools, Centennial Academy, Drew Charter, and Hollis Innovation Academy. Only students who qualify for free or reduced priced meals and who are pre-identified by the partner schools will be accepted into the Horizons at Georgia Tech Program. 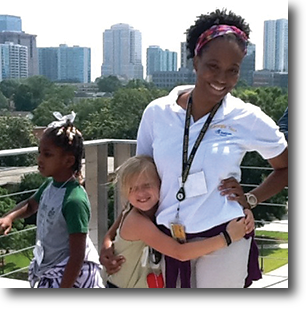 Working in partnership with families, Horizons at Georgia Tech serves students of varying academic abilities throughout their childhood and adolescence. Horizons at Georgia Tech is committed to the development of the whole child through experiences that build problem-solving skills, foster awareness of community responsibility, instill respect for oneself and others, teaches scholars how to swim, and encourage a life-long interest in learning.